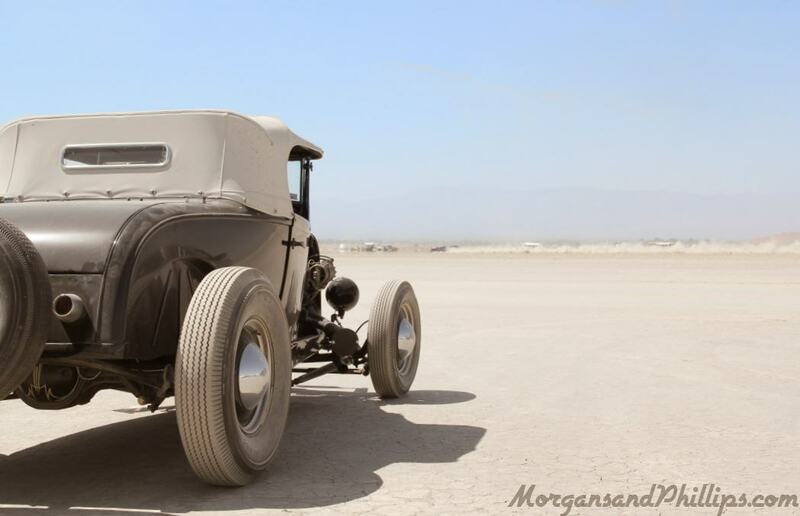 El Mirage this weekend – Hope to see you there. Do you have a need to see some speed? The Southern California Timing Association can help this weekend. 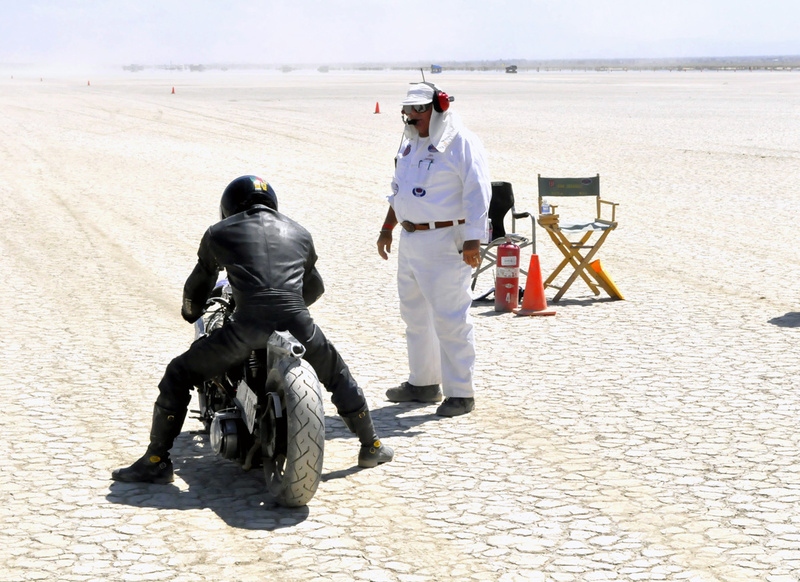 On Saturday and Sunday at El Mirage Dry Lake, SCTA is putting on the first of six land speed racing events. Depending on the vehicle count and how well they handle the elements, drivers may have up to six or seven opportunities to set world records in different types of cars and motorcycles — old and new — with different sized engines. Drivers from as far away from Sweden and Norway are signed up to participate. 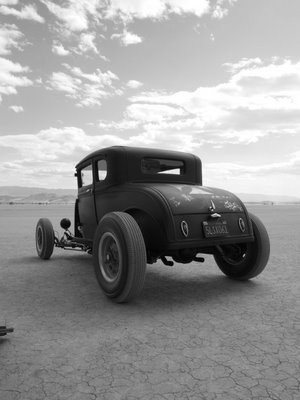 One car takes off at a time to challenge the 1.3-mile dirt straightway on the west end of the dry lake. High Desert Racers president Tom Foley said they’re expecting at least 100 vehicles to enter. Car inspections were held from Friday afternoon and there was a rookie driver orientation afterward. Racing begins at 7:30 a.m. Saturday and Sunday. To participate, drivers must be a member of a racing club affiliated with the SCTA at El Mirage, or they can compete as a guest. Guest times will be unofficial, and guests can only compete if their vehicle passes the safety check, Foley said. Foley, a Phelan resident, holds land speed records at El Mirage in the 1350cc engine vintage motorcycle sidecar gas and fuel divisions. SCTA sanctioned events at El Mirage will also be held June 22, July 13, Sept. 14, Oct. 19 and Nov. 8-9. It costs $15 per carload per day to enter the lake area and it doesn’t cost any extra for camping. C.J. Daft can be reached at christiand@vvdailypress.com or at 760-951-6275. 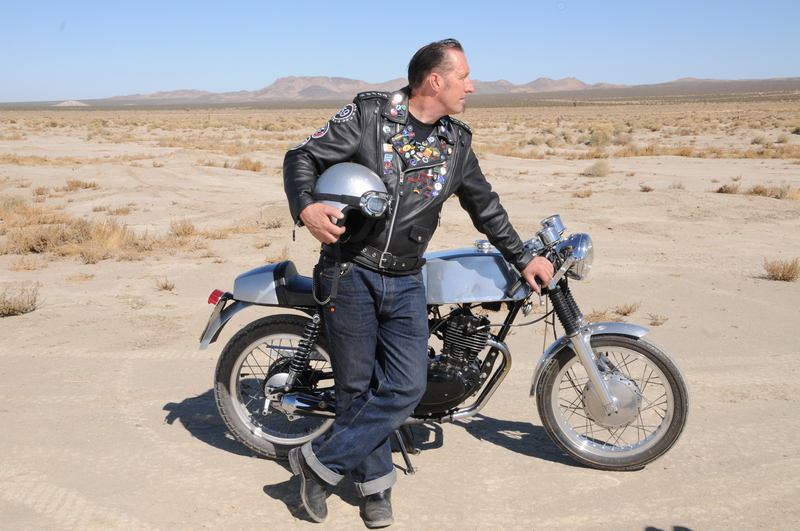 The great thing about El Mirage is this has been a place to go fast since before WW2, many people have been here to ride motorcycle, drive hot rods and even landing a plane, I have been involved in many photo shoots here, as well as some TV documentary’s, this place is oozing with History. 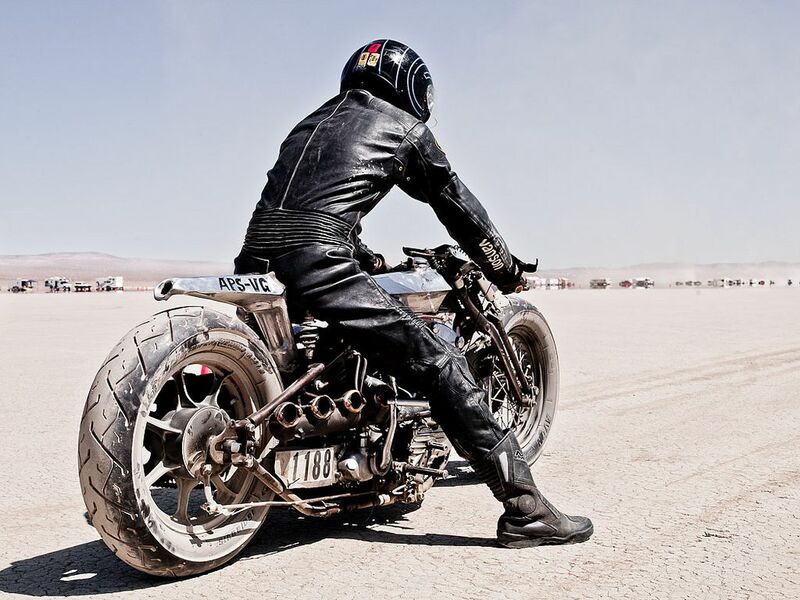 So, get yourself down to El Mirage as just to see the cars and bikes getting ready to run the dry lake is awesome and probably the only place other than Bonneville that you can get right next to the machines for a closer peek at what drives people to come here from all over the globe. Maybe next year we shall build something to run, but for now I just love the atmosphere and the chance that someone may even break a world record at the dry lake. Be there to see the start at 7:30am it gets hot, so be prepared with plenty of liquids and wear a hat. 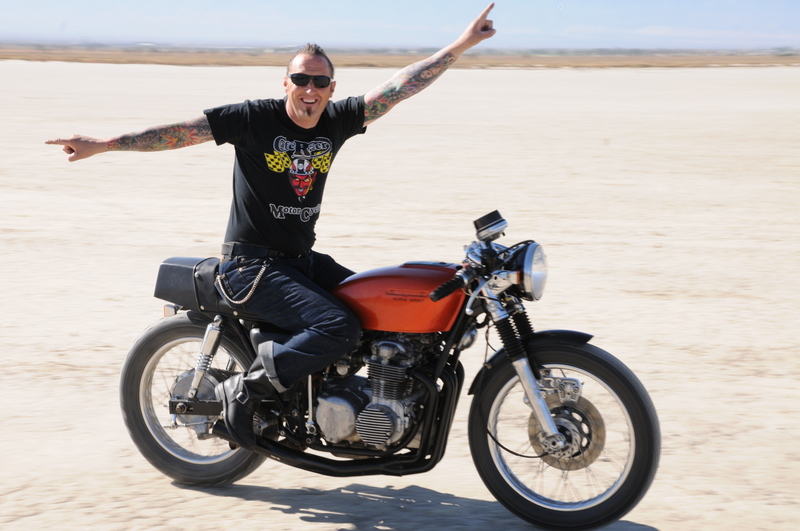 This entry was posted in Blog and tagged belly tank, cafe racer, cb550, cb750, dry lakes, el mirage, hot rod, land speed record, rocker, scta, stream liner, street rod, ton up, vintage motorcycle. Beemer in a Cool Cafe Style rendering looks cool.